Pints ‘n’ Plants is a casual, free, and open to the public gathering of interested individuals who meet every third Wednesday of the month. Guest speakers share knowledge in their field and conversation follows. Past topics of conversation have been, Gardening in the Dead of Winter, Rain Barrels & Water Collection, Backyard Chickens and more. This event is open to the general public with a $5 suggested donation. 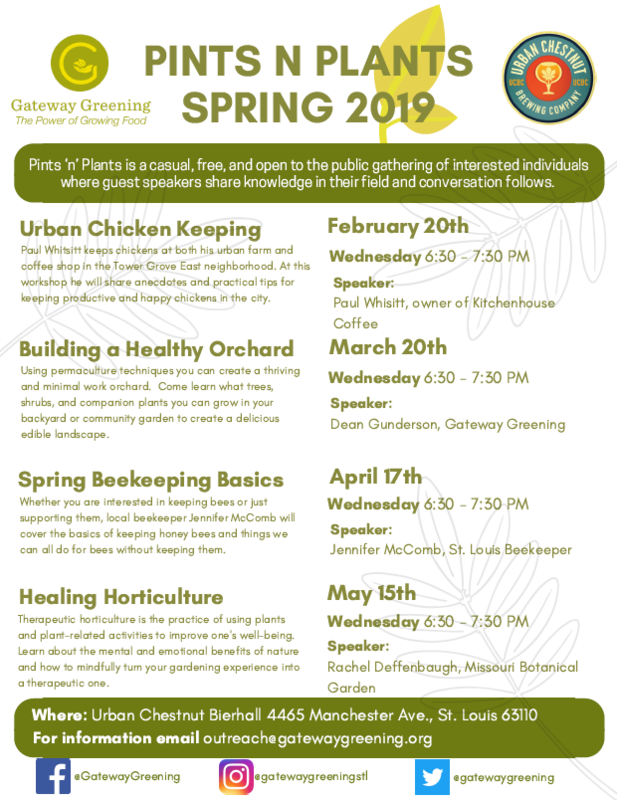 Gateway Greening’s Pints ‘n’ Plants is financed in part through an allocation of Community Development Block Grant funds from the Department of Housing and Urban Development and the City of St. Louis’ Community Development Administration.